It takes less than 10 minutes for a visitor to your Lodge to see that your officers have attended an Officer Leadership Training Program. Participants in our Grand Lodge Officer Leadership Training, lead their Lodges with greater confidence, efficiency, and effectiveness. We offer two sessions open to all Master Masons. The Men’s Program will begin on Friday evening at 6:30 p.m. and finish at approximately 10:00 p.m. Saturday will begin with breakfast at 7:30 a.m., followed by the morning session at 8:30 a.m., Lunch at Noon, afternoon session at 1:00 p.m., and conclude with a Q&A session directed to the Grand Lodge Trustees at 5:00 p.m. A short break, and then a sit-down dinner at 6:00 p.m. will follow, with our R∴W∴ Deputy Grand Master as the keynote speaker. In addition to the programs listed below, there will be a joint workshop session on Sunday morning after the Devotional, which will be followed by Graduation and a closing message from our Grand Master. The program is scheduled to completed by 12:00 Noon on Sunday. Officer Leadership 101: If you have a Laptop PC with Microsoft Office Word and Microsoft Office Excel, please bring it fully charged, along with a current copy of the Grand Lodge Constitution and Laws, a Monitor of the Lodge, your Lodge By-laws, Lodge Rules and Regulations, a Notebook and Pen/Pencil. The Ladies Program will begin on Friday evening with a short introduction to the program, and an opportunity to meet and visit with each other. The Ladies are encouraged to attend all meals, breakfast, lunch, and sit-down dinner on Saturday, as well as breakfast, the Devotional, and Graduation on Sunday morning. Tickets will not be mailed. You may pick up prepaid tickets at the door. 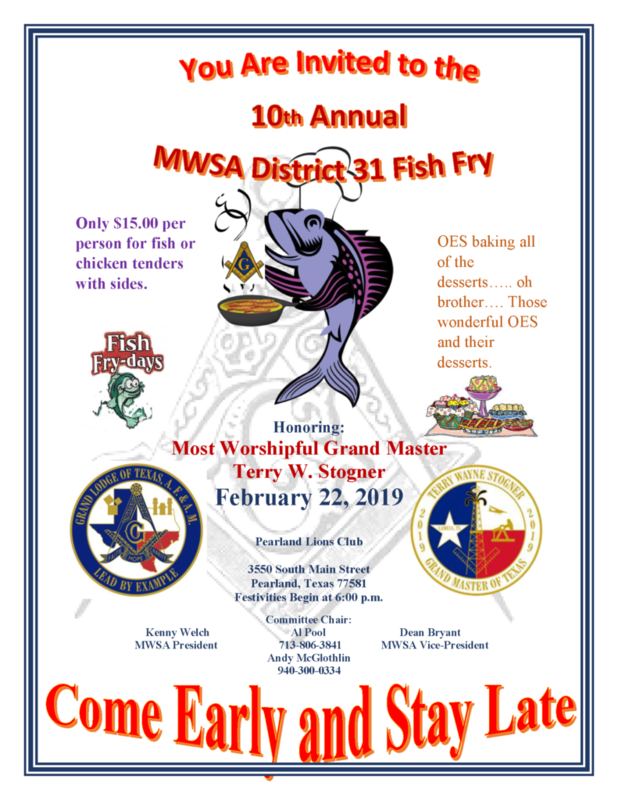 The Masters, Wardens, & Secretaries Association of the 107th Masonic District will be hosting a banquet on February 25, 2019 honoring 2018 DDGM Eric Harris with special guest M.W. 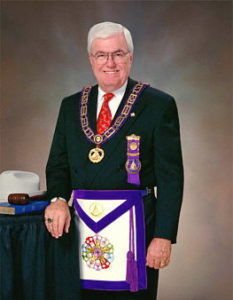 Terry Stogner, Grand Master of Masons in Texas. You are invited to witness the Third Degree in Masonry aboard the U.S.S. 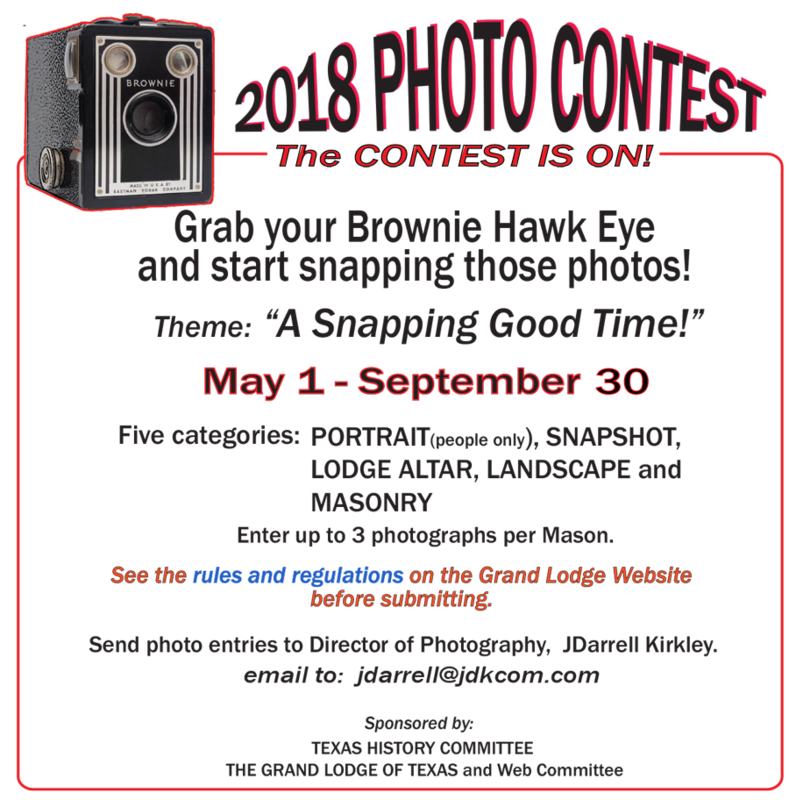 Lexington, also known as “The Blue Ghost.” This degree is held in conjunction with the last Grand Lodge Officer Leadership Training Programs of the year. Come to Corpus Christi to celebrate the 26th anniversary of this floating museum and see some of the best Blue Lodge Ritualists in Texas confer the Master Mason’s Degree. Where: The U.S.S. Lexington rests in Corpus Christi Bay, just across the ship channel from Downtown Corpus. FREE parking is available in the U.S.S. Lexington parking lot. FREE metered street parking after 6:00pm. Degree will be held in the air-conditioned Joe Jessel 3D MEGA Theater. The theater contains stadium seating for 193 people including 4 wheelchair spaces. Please bring your current dues card. You are welcome to wear your lodge or personal apron. Aprons will also be provided.